With modern clean lines, chic classic shapes and edgy design touches, the Esprit eyewear collection has something for everyone. The beloved Esprit brand started in California in the late 1960s and it embodies the cheerful enthusiasm of those times. Designed with the ideas of casual chic and affordable luxury in mind, the Esprit eyewear collection uses flattering shapes and color tones to create an eclectic offering of frames. 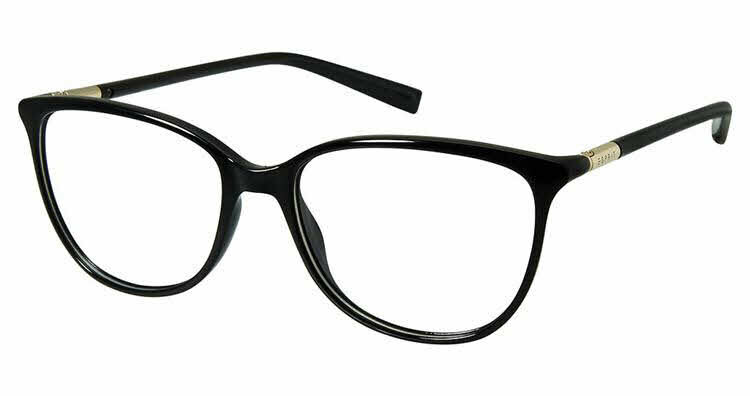 Esprit ET 17561 is a Full Rim frame for Women, which is made of Plastic. The Esprit ET 17561 Eyeglasses feature the following logo: ESPRIT name on temple. Esprit ET 17561 Eyeglasses come with a cleaning cloth and protective carrying case.